The Surface Book laptop looks has got the same look and design with improved innards and has got double the graphic performance with 30 percent more battery life. After some flagship smartphone launches, it time to talk about the computing devices. Microsoft hosted its Surface Event where the company has announced the new hardware as well as the software. 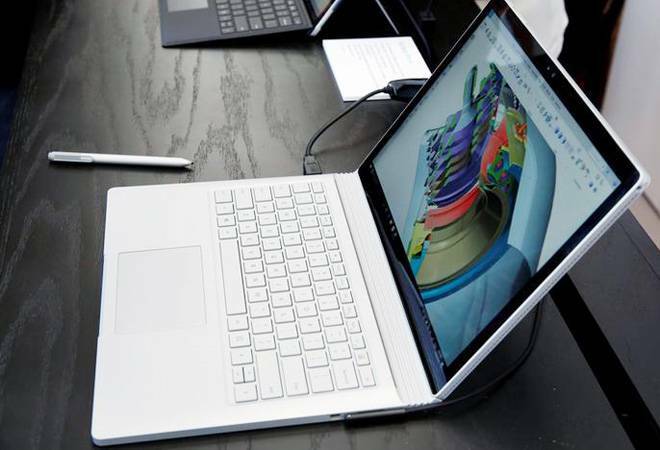 The Surface Book laptop looks has got the same look and design with improved innards and has got double the graphic performance with 30 percent more battery life. Claimed to be the most powerful Surface Book, this laptop is powered by Intel i7 processor. Microsoft has redesigned the cooling system with an additional fan. The battery life has been increased to 16 hours from 12 hours. It has also got a detachable display that transforms it into a tablet. The Surface Book will be available with 256GB, 512GB, and 1TB configurations for $2,399, $2,799, and $3,299, respectively. The Surface Studio All-in-One touchscreen desktop PC comes with a starting price tag of $2,999 and offers a 28inch screen with 13.5million pixels. It is the world's world's thinnest LCD monitor at 12.5mm. It's powered by Intel's 6th generation processors and has got Nvidia GTX 980M GPU in the premium model, with a 965M in the lower-priced configurations. The screen can be adjusted to 20 degree, making it convenient to draw on. It supports various peripherals including the Surface Pen and the new Surface Dial. While Microsoft has announced an upgraded version of the Surface Book laptop and a Surface Studio, the company has decided not to update its popular Surface Pro 4. There hasn't been any specifications update either. The Surface Pro 4 continues to retail starting at $899 with a Core m3 processor, 4GB of RAM and 128GB of storage. The higher-end models continue to have the same specifications. Other than the hardware, Microsoft has a lot more to talk about. The company talked about the next release of Window 10, which is free - Windows 10 Creator. Microsoft is now focusing on 3D and believes anyone should be able to create 3D content. It has launched Paint 3D, which makes 3D creation easy for everyone. Microsoft has also introduced affordable Virtual Reality accessories to the Windows 10 PC starting $299.